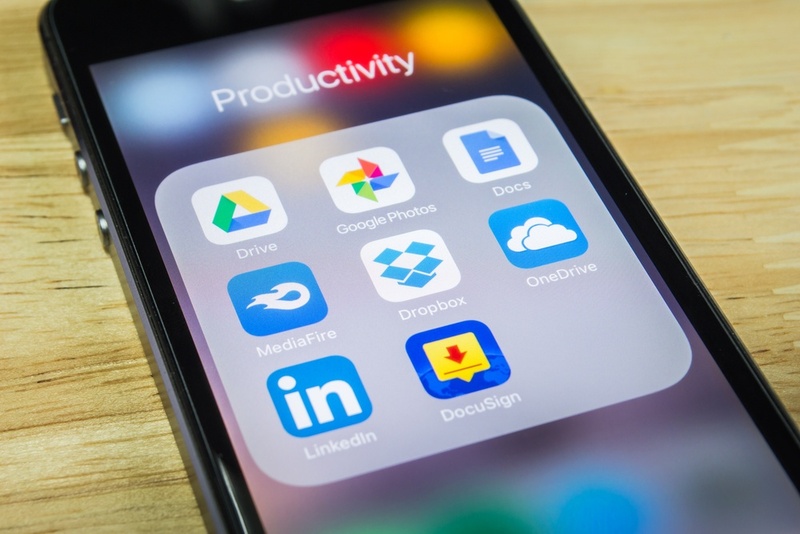 Google Drive vs. Dropbox vs. OneDrive: Which Content Collaboration Platform is Right for You? Content collaboration platforms (CCPs) include a range of products and services that enable content productivity and collaboration. These platforms provide file sharing and storage, mobile access to content, file synchronization across all devices, and team collaboration with dedicated folders. Traditionally premise-based and using a dedicated server, most CCPs have moved to the cloud, including the ‘big three’ that Gartner places in their 2018 Magic Quadrant — Google Drive, DropBox, and OneDrive. Gartner estimates that by 2022, 50% of midsize and large organizations will use a content collaboration platform to improve collaboration and productivity. But which of the big three is best fit for you? What about on-premise collaboration platforms? Despite the rapid adoption of cloud-based collaboration platforms, there is still a place for their more traditional, premise-based counterparts. Premise solutions provide more customization options for specialized requirements. Direct server access allows for more control — platforms can be tightly secured, both physically and from online attacks. Finally, mature, paid-for hardware-based solutions with low growth requirements may be more cost-effective than cloud-based alternatives. Cloud-based solutions, however, offer more transparent, predictable pricing with no capital expenditure. Cloud CCPs are faster to implement and can be easily scaled up or down to meet changing requirements. Outsourced CCPs also have minimal management and support requirements. OneDrive is not new — it’s been around for years under other names like SkyDrive and FolderShare, and, according to Microsoft, is used by over 85% of Fortune 500 companies. Included with Office 365 and SharePoint, OneDrive is a mature offering with an easy-to-use interface, excellent reliability and complete integration with Windows 10 and Office 365. At $60 annually for one terabyte of storage or $120 for unlimited storage, OneDrive is cheaper on a per-user basis than DropBox. Note these are storage-only options — bundled with Office 365, OneDrive comes in at $150 annually, including one terabyte of storage. Where OneDrive shines is with its seamless integration with Office Online, including Word, Excel, OneNote, and Powerpoint. Also, with an API open to developers since 2015, OneDrive supports a wide range of third-party tools and applications. File sharing with OneDrive is simple to learn and involves just a few ‘point and clicks.’ However, a challenge for users who edit and share a lot of documents is the inability to view tracked changes for shared documents using Word Online — to see changes, you must use the desktop version of Word. This issue alone may lead some users to seek an alternative. Another hurdle involves document size limitations. OneDrive for Business doesn’t support file sizes greater than 15GB, making it unwieldy to share and edit large video and multimedia files. The lack of support for Linux may also be a challenge for some organizations. Overall, OneDrive gets top marks as a content collaboration platform — it’s feature-rich, well-priced, and simple to use. Particularly in Microsoft environments, it’s tough to beat. Google builds on the popularity of their Google Drive (over 800 million users in 2017) by adding more storage and functionality to their Google Drive for Work business solution. For $10 per user per month, Google’s business solution offers all the collaboration and document management features of Google Drive and adds secure archiving, greater administrative control and unlimited storage if you have five or more users. Google Drive makes file sharing and collaboration easy. You can share individual files or entire folders, and modify settings to make files visible to specific users or groups. Google also allows you to edit Excel, Word or Powerpoint files without converting them — a great feature that saves time and reduces complexity. There is a wide range of third-party applications compatible with Google Drive for Work, and Google makes their API public for companies wishing to customize their own Google Drive experience. Google Drive functions best when used in concert with the Google’s productivity applications. This may lessen its appeal for those using other productivity tools, or those simply looking for a document management solution. Another Google shortcoming is the lack of project and task management tools with Google Drive. These minor quibbles are offset, however, by Google Drive’s superior offline capabilities which set it apart from OneDrive and Dropbox. Add in unlimited storage and excellent third-party integrations to the equation, and Google Drive is a compelling choice for content collaboration. Can Dropbox keep up with its heavyweight competitors? An early leader in the content collaboration space, Dropbox remains popular with business users based on its excellent cloud storage and file sharing capabilities. The standard Dropbox Business plan is priced at $12.50 per month (but for a minimum of three users) and offers unlimited storage, unlimited deletion and version history, and a wide range of collaboration tools. Dropbox stands out for its simple user interface, both on its web and mobile applications. It allows documents to be shared it multiple ways — by placing them in a common team folder, setting them as ‘public,’ or restricting and password-protecting them. Dropbox also supports a wide range of third-party applications and, like Google, provides its API for customer integration. A unique feature of Dropbox is Smart Sync, which allows you to view and access Dropbox documents directly from your desktop, saving local storage space and speeding access to cloud files. Unlike Google or Microsoft, Dropbox doesn’t provide an applications suite, and online editing is not available. Instead, when you attempt to open a file, you’re redirected to Microsoft Office 365 online — if you don’t have an account, you’ll be asked to sign up for one. Dropbox has partially addressed this issue with the rollout of Dropbox Paper, which allows you to create, edit, and comment on documents. While promising, Paper doesn’t take the place of full application suites like those offered by Microsoft or Google. 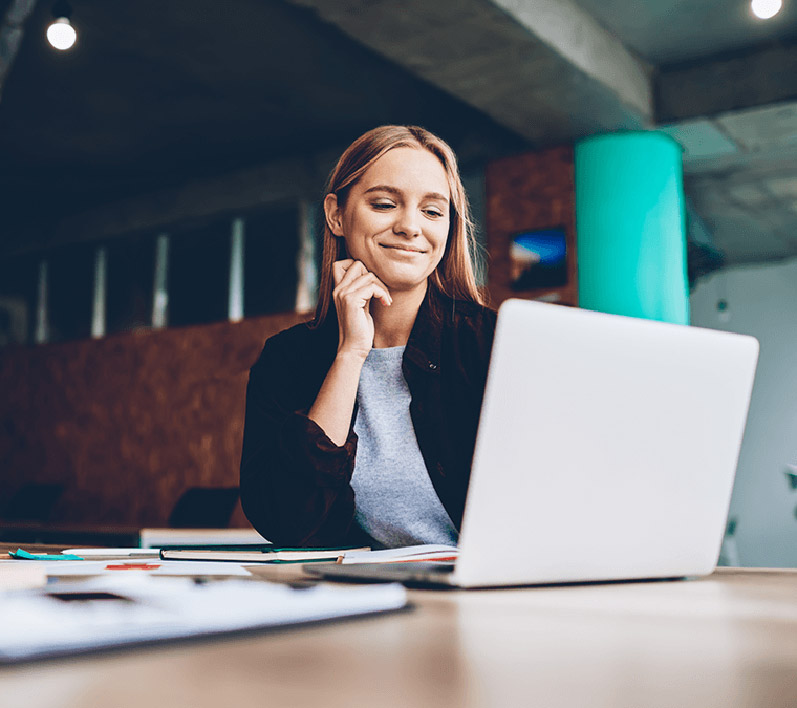 With a large and devoted user base, a simple interface and a wide range of compatible applications, Dropbox Business remains a popular choice for cloud storage and document management. However, its 3-user minimum pricing provides less flexibility than Google and Microsoft, and its lack of a complete applications suite limits its current capabilities as a true content collaboration platform. 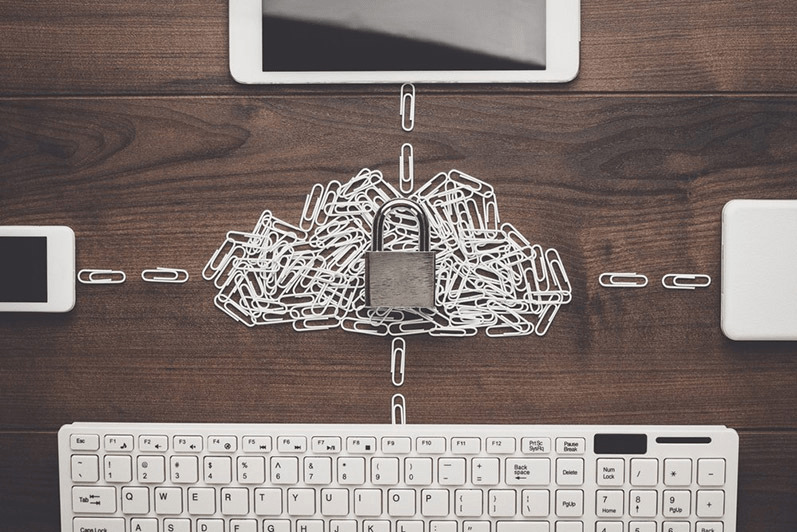 While there are many different pros and cons for each of these services, keep in mind that public cloud storage is not for everyone. Organizations with strict security requirements, huge file sizes (e.g. engineering or architecture diagrams), or those looking for custom integration with other Line of Business (LoB) applications are going to want to look at other cloud solutions. Reach out to us if you want additional information on cloud services and what would work best for your specific business needs. You may also want to take a read of our latest white paper that explores the pros and cons of cloud migration in more depth.